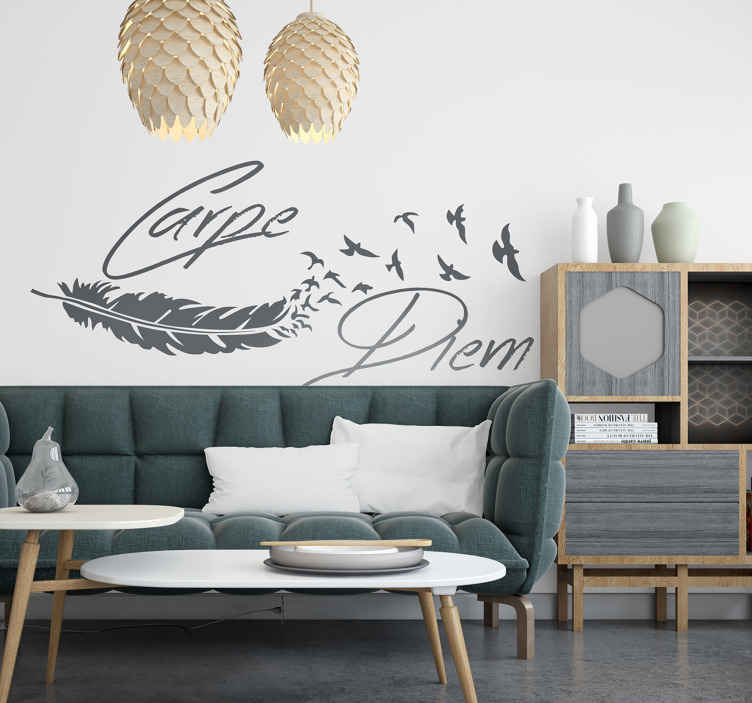 Original decorative decal of the famous Latin phrase, Carpe Diem. Brilliant decal if you believe this type of philosophy. Carpe Diem is an exclamation in Latin that was used to explain that a person should make the most of the present and should not focus on the future too much. Similar to the phrase, "You Only Live Once". A beautifully designed wall decal with birds and a feather to give a touch of style to your home. Decorate any space at home with this wall sticker. This creative decal is available in different sizes and colours.